The No. 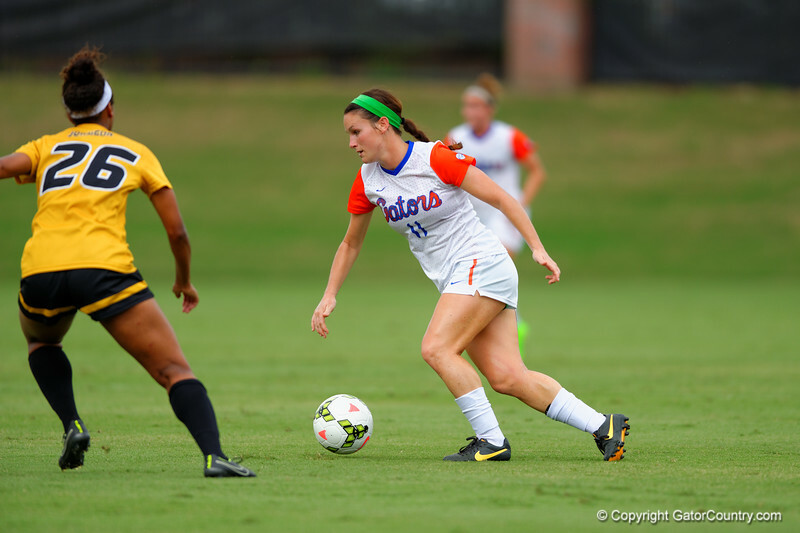 7 ranked Florida Gators soccer team defeated the Missouri Tigers 3-1 at Dizney Field on September 28th, 2014. The No. 7 Florida Gators soccer team defeat the Missouri Tigers 3-1. Florida Gators soccer forward Brooke Sharp dribbles upfield during the first half. Florida Gators Girls Soccer vs Missouri Tigers. September 28th, 2014. Gator Country photo by David Bowie.